Haimanti Shukla has a history of many decades of a successful musical profession. 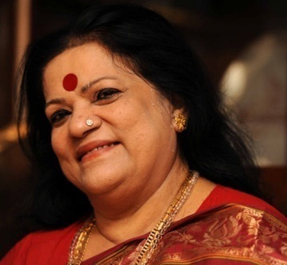 She was born on 2nd February, 1949 in Kolkata in an ambience of Hindusthani classical music in the family of renowned classical vocalist Pandit Harihar Sukla.She was trained in classical music initially by her father and then by Pandit Chinmay Lahiri. She has started singing professionally from 1970. Yet she is considered to be one of the dynamic singers of today. Her profound classical training and penchant for variety has earned her sustained appreciation at home and abroad. From Classical Music to Modern songs - she performs it with a seemingly effortless manner that has made her so popular among all classes of music lovers. Whether a bhajan or a ghazal, she can bring out the soul value of the temperamentally different genres of vocal music. An MA in Bengali literature from Rabindra Bharati University, Haimanti Sukla lives and works in Kolkata. She has received various awards like Pratishruti Parishad Music Award (1973), Bangla Chalachitra Prashar Samiti Best Singer (1978), Sur Singer Academy Mian Tansen Award (1982), Bangla Chalachitra Prachar Sanshad Award (1982), Banga Bibhusan Award from Government of West Bengal (2014) and D. Lit. from University of Burdwan (2018).